On 4th Oct 2016, a category 4 Hurricane Matthew caused catastrophic damage in Haiti. Over 500 people died and some 2.1 million people were affected, including 560,000 children. Grand’Anse was one of the most affected regions in Haiti. 90 per cent of homes were damaged or destroyed, leaving people homeless. Plan International Hong Kong allocated HKD 1.17 million, including a 0.521 million grant received from the Disaster Relief Fund of the Hong Kong government to support Plan’s relief work. The fund was mainly used on distributing hygiene kits to the affected. The hygiene kit contained different kinds of cleaning and personal hygiene products. The items including a bucket, some soaps and sanitary pads, etc., helped maintain personal hygiene of the affected. Over 7,000 families (around 50,000 people) were benefitted from the response. 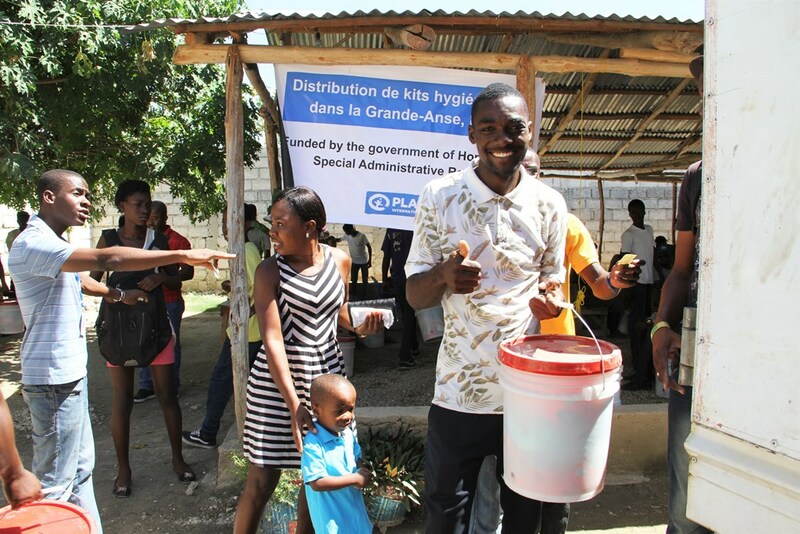 Thank you for your generous donations which allowed Plan to swiftly respond to the immediate needs in Haiti.